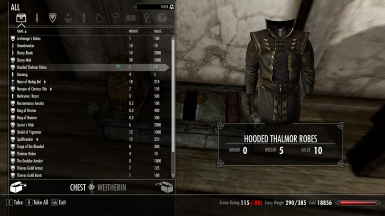 Don\'t you hate how that once-amazing enchantment just won\'t come off your best looking gear? 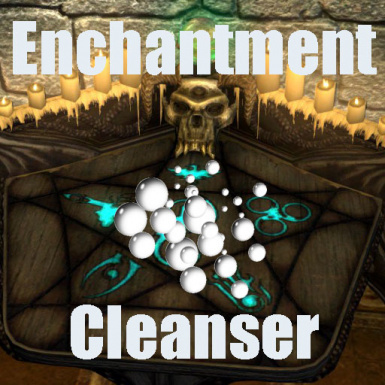 Hi, Sir Reality here for Enchantment Cleanser, the enchantment remover specialist. Never again hesitate to enchant your items for fear of future obsoletion! Code blatantly stolen from the atronach forge and slightly repurposed for my use. 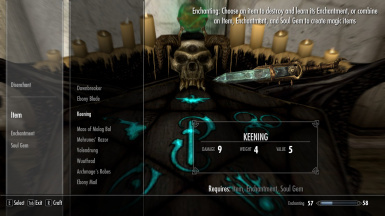 This mod adds a chest with button in Dragonsreach next to the Enchanter. Simply put in your enchanted items, press the button, and voila* - clean unenchanted gear, ready for enchanting anew! 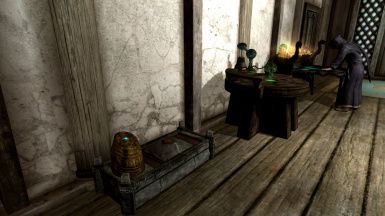 *Please note the Dwemer Detergent takes quite some time to fully cleanse all items. It is also quite strong and will cleanse smithing improvements, and fingerprints off magic stolen items. The machine will notify you when this is done. I've had to add every single possible enchanted item by hand, so there might be a few items missing, or some items which don't improve/reenchant properly post-cleansing. if you find any, please let me know so I can fix it! Cleanse any items added by another mod - you need to request it in the discussion section!